A design and construction guide for architects, designers, builders, landscapers and experienced DIY'ers. Timber sleepers or round posts and logs can be used to create effective and relatively inexpensive garden edges, steps and walls to terrace sloping sites. Galvanized steel posts can also be used in conjunction with sleepers to achieve satisfactory designs. Timber fences can also be integrated with garden walls to add privacy and character to front yards. 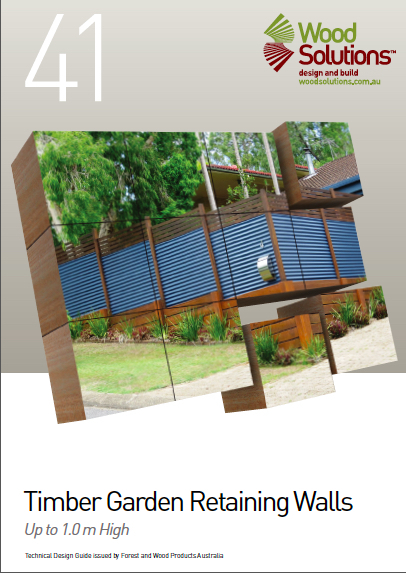 This Guide contains This Guide contains recommendations for the construction of timber garden walls up to 1 metre high. .